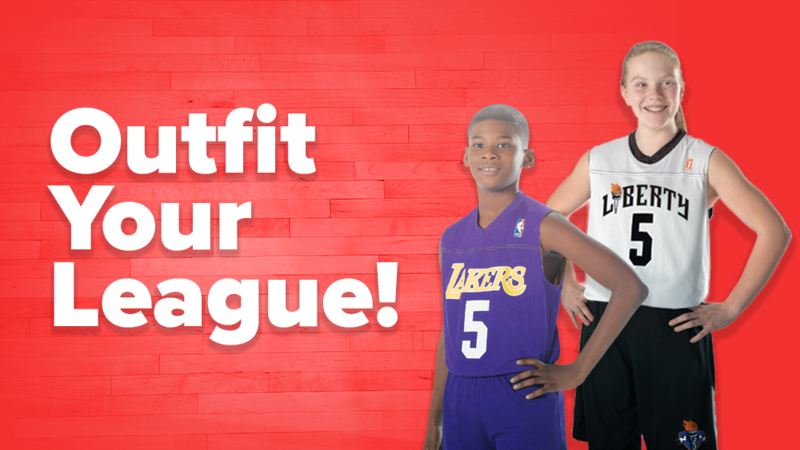 Outfit your league with Official Jr. NBA team gear! Jr. NBA affiliated leagues receive preferred pricing on team uniforms and basketballs. Preview the product assortment here from Alleson Athletic and Spalding and click on the link at the bottom of the page to get started. Alleson Athletic offers Official Jr. NBA team uniforms in a variety of options and provides free league official’s jerseys with a minimum uniform purchase. Official Team NBA styles with your favorite NBA Team Logos. Team NBA is now your Hometown! You can now pair your hometown with any NBA wordmark and place it on any stock product. Choose from 3 designs options, home or away. Official Team WNBA styles with your favorite WNBA Team Logos. Get Started! Click here to fill out a referral form and a BSN SPORTS representative will contact you to review your uniform or product needs, review special pricing and help your league get outfitted with the best NBA gear. Come play with the NBA!